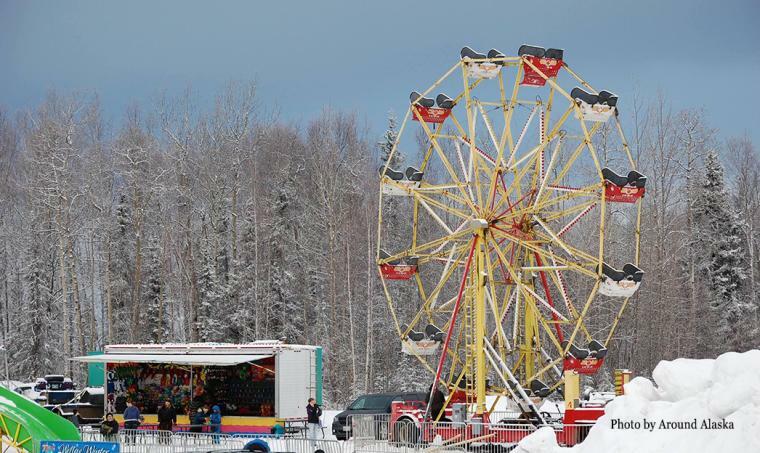 This weekend, the 56th annual Willow Winter Carnival kicks off in the small Parks Highway community, beginning two consecutive weekends that feature quintessential Alaska events.This year&apos;s theme is "Year of the Fireweed." On Saturday, the Earl Norris Sled Dog Race kicks off the carnival in style. The two-day race continues on Sunday morning, starting at 10 a.m. both days. Even the littlest mushers get in the action during the carnival, as the kids sled dog races - begin at 1:30 p.m. Saturday. Other highlights from the first day include the Frostbite 5K, a geocache event, kids&apos; games and the ever-popular Outhouse Race, which is exactly what you&apos;d imagine it is - teams racing a mobile outhouse on runners, creating an "Only in Alaska" moment if ever there was one. On Sunday, there are ski races, live music, a women&apos;s 5-mile dog sled race and a snowshoe softball tournament that take place on Willow Lake. The carnival takes a breather during the week, but gets fired back up on Feb. 4-5, with more kids games, homesteader events, a snowmachine poker run, 25K Tour and a "Most Abused Carhartt and Best Beard" competition. Throughout the entire carnival, there will be midway-style rides and games, a craft fair at the Willow Community Center, live music and the Willow Community Center&apos;s kitchen will be open. All of the events take place on or around Willow Lake (where the community center is located) and are organized by the Willow Area Community Organization. For a complete schedule of events, click here. Photo above courtesy of Around Alaska.